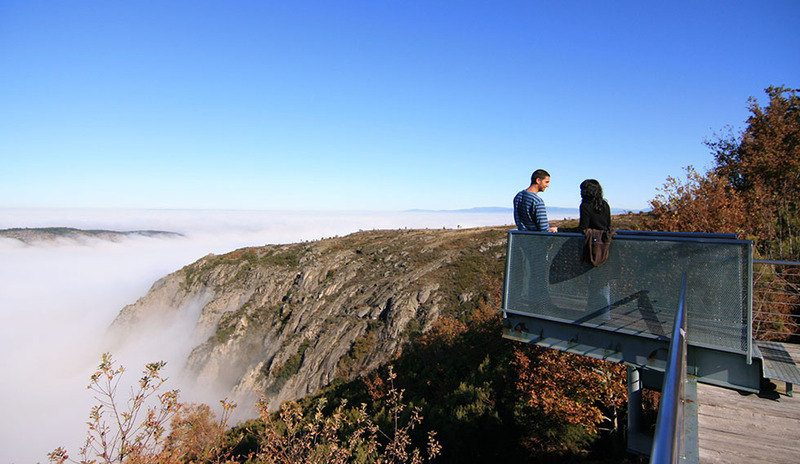 Puebla de Trives is ideally situated for visiting the Ribeira Sacra, which covers the river valleys of the Sil and Miño, and joins the porvinces of south Lugo and north Ourense. Some of it's principal tourist attractions are only 15 minutes away, and others less than half an hour. The Ribeira Sacra is famous for wine production, and is one of the two areas in Galicia with the title of 'Denominación de Origen', Puebla de Trives is included in this area. It is also known for historical monuments, although probably the most remarkable feature is the Gorge of the River Sil, spectacular in it's beauty and with it's own eco system. It is possible to take a catamaran journey up the river from either Doade, , 25 minutes from Trives or from Santo Estevo, alternatively this journey can be done on land, by car, by tourist train or on foot. Medieval monasteries, Romanesque churches, and baroque monuments abound in the area, e.g. The monasteries of Santa Cristina, San Pedro de Rocas, Montederramo, Xunqueira de Espadañedo, Xunqueira de Ambía, San Paio de Abelada. The Sanctuary of As Ermidas y Os Milagros, the castles of Castro Caldelas, Maceda and O Bolo. Discover the remains left by the Romans as they crossed this area on the Via Nova the Antonine Highway number XVIII which united Braga and Astorga, there can still be seen a few remnants of the road and two bridges, those of O Bibei and A Cigarrosa, both well conserved. There are also important archaeological remains that demonstrate the importance of the area for the mining of gold, notably the tunnel at Montefurado and Las Médulas, a UNESCO World Heritage Site from where the Romans mined, what was for them, considerable quantities of gold. Montefurado is scarcely 15 minutes from Trives and Las Médulas about 50 minutes. In the same direction and half an hour from Trives it is worth visiting the castle of O Bolo and the Sanctuary of As Ermidas the latter leaves an impression not only for the baroque architecture but also for its situation in the valley of the River Bibei, with its Mediterranean micro climate in the middle of Galicia. 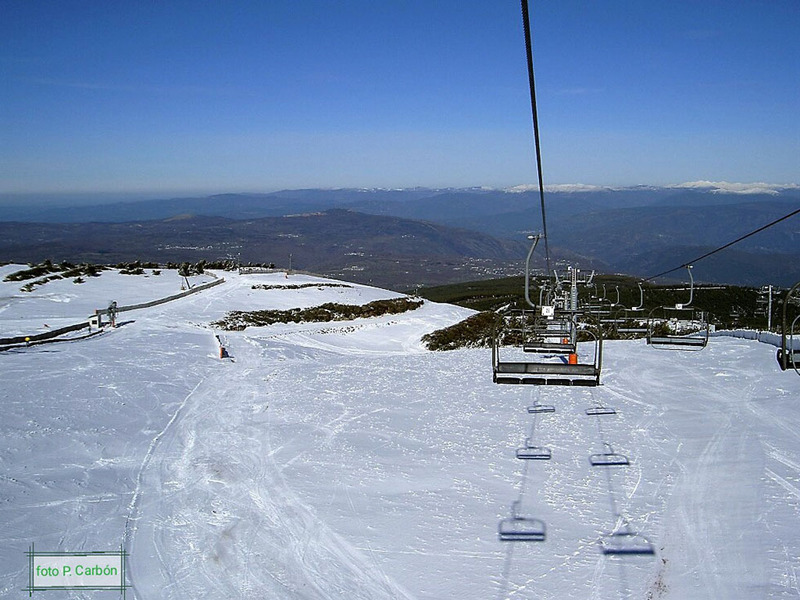 Less than an hour from Trives is Monforte de Lemos, known as the Escorial of Galicia. Situated in the geographic centre of the Ribeira Sacra it has an astonishing number of historic monuments: Medieval Fortress, Homage Tower, Palace, Monastery and an art gallery containing two works by El Graco. 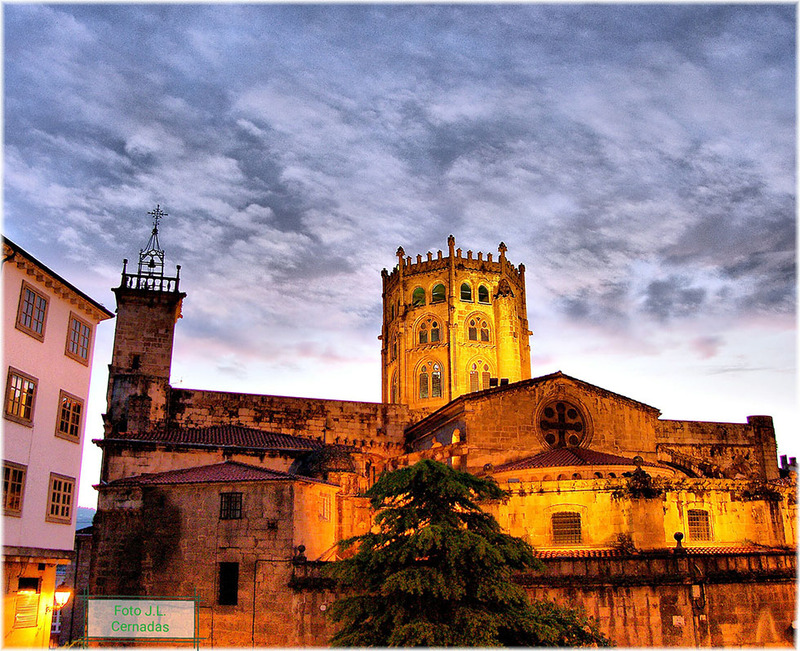 Ourense, the capital of the province, is just 50 minutes from Trives on the OU-536, a road that crosses an area of great beauty. The old town is well conserved and has a welcoming ambience. It is also possible to relax in one of the numerous spas which have grown up in the area as a result of the hot springs around the River Miño. Puebla de Trives is situated on the edge of two distinct wine producing areas: Ribeira Sacra y Valdeorras. Lovers of wine can take advantage of the wine route called the Viñobús to visit villages lost in time, small bodegas, still using the ancient methods of production, and larger producers using the latest technology, such as: Regina Viarum, Castelo Algueira, Dominio do Bibei, A Mata, Ponte da Boga, Cooperativa Virgen de las Viñas. Some organize activities around the production of wine. Likewise in Valdeorras, an area which is not only famous for its wine production but also its archaeological sites, e.g. 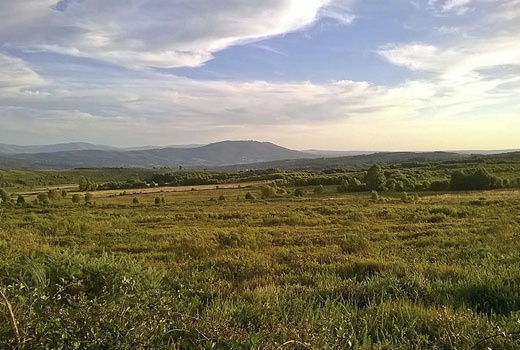 the natural park of 'la Serra da Enciña da Lastra', and the Roman Vía Nova. The latter is nowadays used as the Camino de Invierno, one of the Caminos de Santiago, which lead to Santiago de Compostela. The Sierra is situated in the south of the Provice of Lugo. It is important for it's rich fauna and flora, but also for it's rich archeological history, dating back to the Celts. For those keen on walking this area is a must to really appreciate the diversity of Galicia, with signed paths such as the Devesa da Rogueira. Manzaneda Ski & Mountain Resort. Snow is one of the main attractions of Trives, given it's proximity to the resort of Manzaneda, just 15 minutes from Casa Grande de Trives. Manzaneda is not only a winter ski resort, The Bike Park, for Mountain Biking is one of the best in Spain, and there are various other activites for the adventurous, like: high wires, archery, quad bikes and hiking etc. Ther is also a heated swimming pool to relax after the stresses of the day. Trives, Ribeira Sacra and all the interior of Galicia have wonderful countryside for hiking and other outdoor activities. 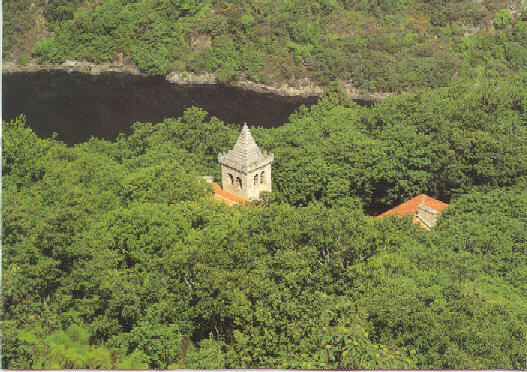 The Macizo Central of Ourense has areas of ancient woodland like the valley of the river Navea with the routes of 'A Fraga' in Mouruás or 'Os sequeiros' in Pena Folenche, the 'Bidueiral de Gabín' in Montederramo, 'el souto de Rozavales' with its ancient chestnut trees in Pumbariños, or the mountains of the Natural Park of O Invernadeiro which, until 1951, belonged to the owners of the Casa Grande de Trives, who at that time were, Antonino González Vázquez and Adelaida González Prada. 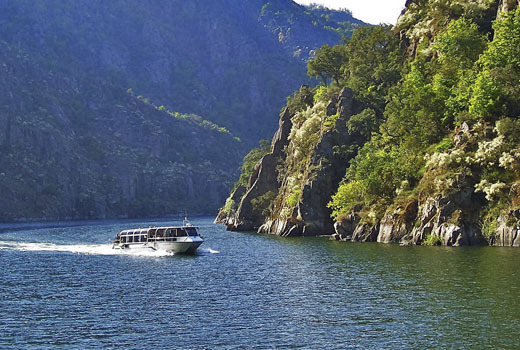 In the northern part of Ribeira Sacra, in the province de Lugo we can travel paths such as Doade to Augas Mestas, the Ruta do Ouro, Lagoa de Lucenza, etc. In the province of Lugo the Ribeira Sacra unites with the Sierra de O Courel to form spectacular countryside, just about one hour from Trives. As in all Galicia water defines our way of life and has shaped the countryside. The rivers and reservoirs provide an environment for both fishing and water sports. 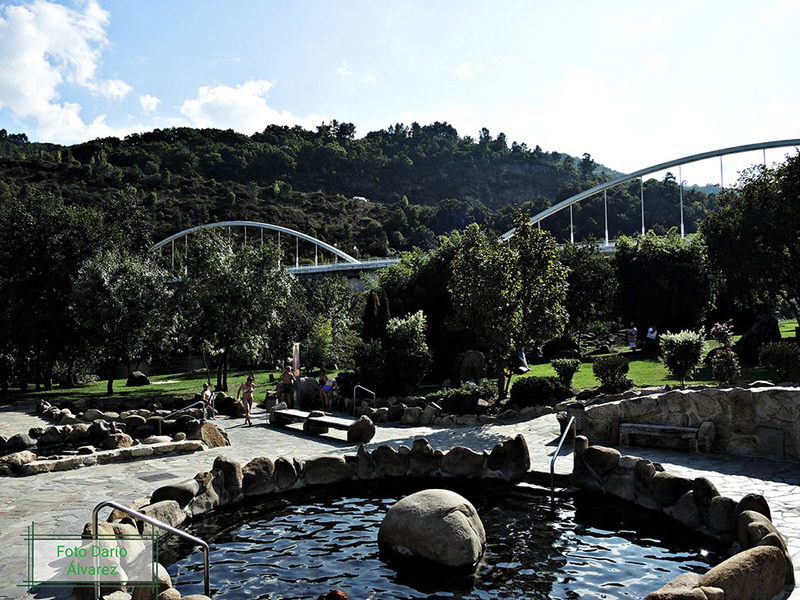 The SPA in Manzaneda and the hot water springs of Ourense (Outariz, A Chavasqueira, Pozas do Muiño, etc) provide a place to relax. It is possible to bathe at river beaches throughout the province or to visit the Sil gorge in a catamaran from the embarkation point at Doade. 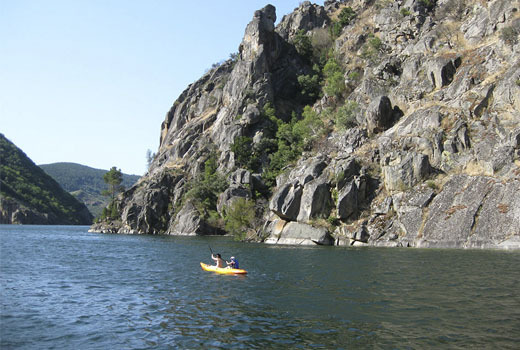 Just 4 km from Trives is the reservoir of Guístolas, surrounded by the woods of the river Navea. At 8 km the river beach of O Caneiro in the Bibei valley, which has a micro climate that permits bathing in Spring. Slightly further are the rservoirs of Chandrexa de Queixa, Prada, with the beach called 'de los franceses' or 'of the French', the small and magical reservoir of Edrada and the river Sil with its beautiful gorge. As well as the beaches there are public swimming pools in Trives, Manzaneda and Castro Caldelas and the heated swimming pool at SPA at the mountain resort at Manzaneda.